Ranch sauce, garlic, whole milk mozzarella, cheddar cheese, and our own parmesan seasoning. Thin crust pizza dough topped with seasoned butter, whole milk mozzarella, and lots of fresh garlic. Large thin crust topped with sauce, whole milk mozzarella, buffalo hot wing chicken breast, drizzled with more hot wing sauce. Tender bread sticks with seasoned butter. Includes: 2 P.B. 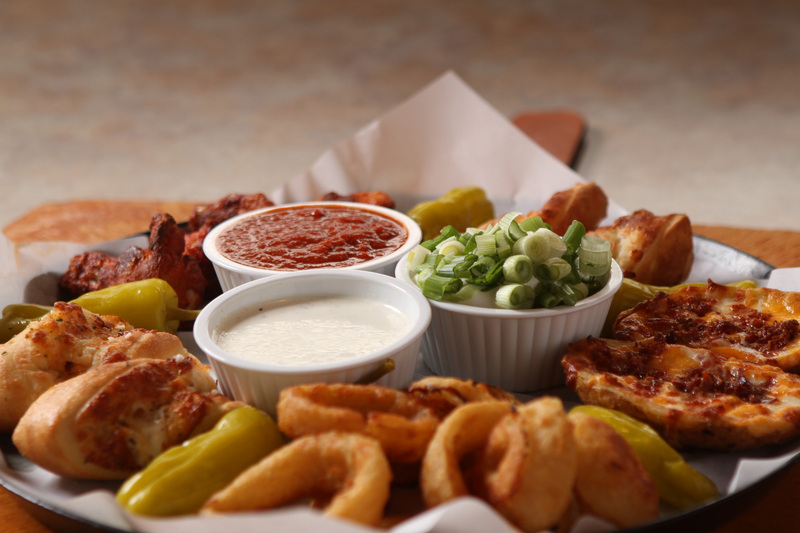 twisters, 2 potato boats, 4 hot wings and oven baked fries with your choice of ranch or red dipping sauce. With your choice of adding cheese. add chicken for $1.75 more! Would you like to receive special offers from us?